Gluten Free Bake Shoppe Inc.
As someone who can't have most baked goods made with traditional (wheat) flour, I appreciated today's gluten-free bake shop treat. 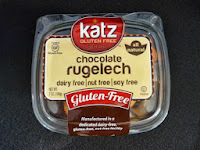 This evening, I enjoyed a few pieces of Katz Chocolate Rugelech from Gluten Free Bake Shoppe (Monroe, NY). 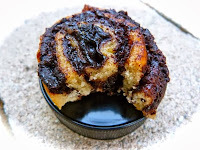 Each piece of rugelech (also available in Cinnamon flavor) had a moist layer of chocolate goodness with a hint of cinnamon oozing out of a baked gluten-free dough. These were very tasty, and had broad appeal. That is, I did not find myself saying: "Hey, not bad for gluten free." I thought they were good, period. 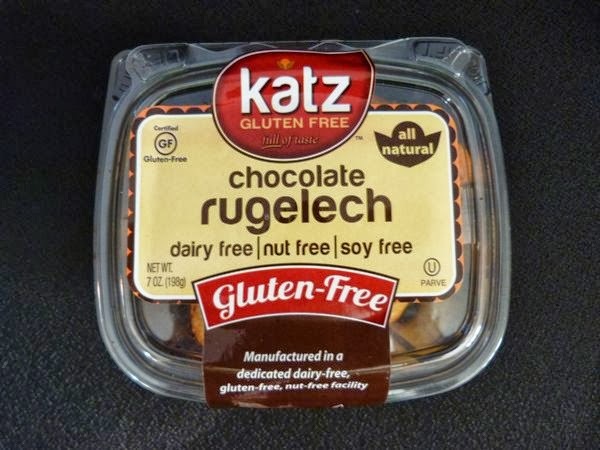 The ruggelech and Katz line of gluten-free baked goods that I looked at (including cinnamon strips, doughnuts, and other items) were kosher and labels stated they were manufactured in a certified dairy free and nut free facility.